Mention Indonesia and images of soaring rainforests and orangutans come to mind. But the reality is quite different. Over 63% of Indonesia’s forest estate is currently deforested or degraded (that’s around 83 million hectares), and many of its iconic species such as the orangutan and proboscis monkeys are endangered. And the deforestation marches on. In 2012 Indonesia broke the record for clearing tropical forest. The choking haze from burning forest and peatland has blanketed South East Asia many times in recent years, and awareness of the economic and health hazards associated with this is growing. But there is hope. Indonesia’s new presidency has ambitious plans to stop forest and peatland destruction in concert with reforesting 2 million hectares of degraded land annually. This also acknowledges the goals of the former presidency to reduce carbon emissions by up to 41% by 2020, with much effort directed to reducing emissions from deforestation and forest degradation. Alongside these new national policies are a series of bilateral agreements with other countries. The $1billion Norway-Indonesia agreement, for example, has encouraged a moratorium on clearing primary forests and peatland. Numerous other countries, including Australia, have supported similar conservation and restoration efforts. Wealthy philanthropists have also become involved through ventures such as privately funded ecosystem restoration concessions (ERCs) such as Harapan Rainforest by Prince Charles or Bill Clinton’s support of the Katingan Project, which was featured in Harrison Ford’s documentary Years of Living Dangerously. These goals, agreements and initiatives are inspiring and critical first steps. However, it is increasingly clear that while talking the talk is easy, implementation is not without challenges. 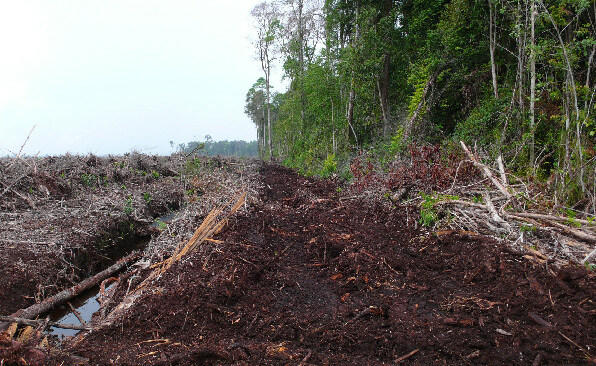 Almost 40% of primary forest loss in recent years was in areas that were meant to restrict or prohibit clearing, including peatlands. The capacity to repair degraded forests through the national forest restoration program is limited to 300,000 and 500,000 hectares annually. Furthermore, the ‘Forest Estate’ provides important sources of livelihoods for both indigenous and trans-migrant families. Added to this there are competing development goals – for oil palm, timber plantations, and energy production – spurred by industry, international demand, and Indonesia’s economic growth targets. This is where CEED researchers have become involved, lending our expertise at clearly defining and solving land use problems with multiple objectives and constraints. CEED PhD student and Indonesian national, Sugeng Budiharta and his colleagues have tackled the difficult problem of prioritising reforestation efforts, given the goals of sequestering carbon and restoring biodiversity. They identified 400,000 hectares of highly degraded lowland forest in East Kalimantan, for which restoration was cost-effective (Budiharta et al., 2014). This research reveals degraded areas that should not be converted to other land uses, such as palm oil. Instead these areas could be the focus of privately funded ecosystem restoration concessions (ERCs) and contribute to the government target of creating 2.5 million hectares of ERC (currently only 397,000 hectares of ERC licenses have been granted). 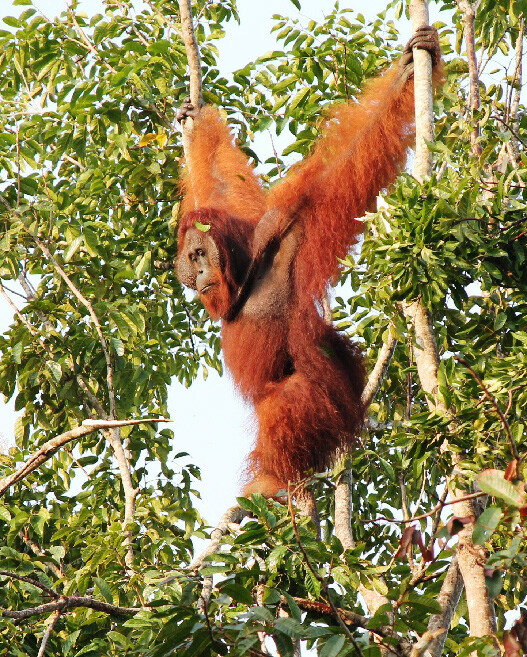 Down in Central Kalimantan, Liz Law and her colleagues were faced with a similar problem. Their study region, the Ex-Mega Rice Project area, covers several major peatlands in lowland forest, over 60% of which have been deforested or degraded. Despite the area being a major source of carbon emissions, common metrics used to prioritize forest carbon projects often overlooked this region, as they focused on the more easily measurable and visible above-ground carbon. By modeling carbon across the region, CEED researchers were able to show that proxies of above-ground carbon had no correlation to metrics of total carbon emissions, or the potential for carbon emission reductions in this region (Law et al., 2014). Furthermore, restoration projects in this region of Central Kalimantan have focused on carbon and biodiversity, yet have met and often been stymied by the challenges of trying to simultaneously support local livelihoods, and resist the increasing pressure of oil palm development. Liz and colleagues quantified and mapped ecosystem service values, assessed their spatial interactions, and evaluated the potential provision of ecosystem services under future land-use scenarios (Law et al., 2015). They found that implementation of existing land-use plans has the potential to improve total ecosystem service provision, but identify a number of significant inefficiencies, trade-offs, and unintended outcomes that may arise. For example, the potential development of existing palm oil concessions over one-third of the region may shift smallholder agriculture into marginal, low-productivity regions and substantially impact carbon and biodiversity outcomes. While improved management of the large conservation zones planned for the region may enhance the protection of carbon stocks, not all biodiversity features will be represented, and these zones will likely be expensive to restore and difficult to enforce, particularly against ongoing illegal timber harvesting and the push to develop both oil palm and smallholder agricultural production. This study highlights how ecosystem service analyses can be structured to better inform policy, planning, and management in globally significant but data-poor regions. All of these articles have been published open access and are part of an international collaboration between CEED researchers and other members of the Borneo Futures Initiative (http://www.borneofutures.org/). Environmental decision science is all about understanding the trade-offs between options in an effort to maximise environmental outcomes. While ‘decision science’ is as old as the hills, environmental decision science is a relatively young discipline. As a discipline, we’re beginning to build our profile in Australia and the developed world but our science has possibly its greatest potential in the developing world where the tension between economic growth, resource depletion and conservation is high. 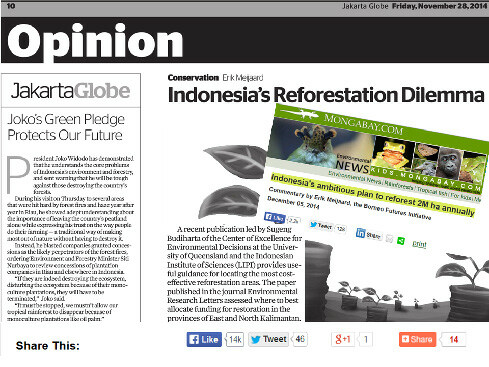 Therefore it’s important to spread the word about research such as these Kalimantan studies. This research has been highlighted in both The Jakarta Globe and the environment web site Mongabay, receiving over 16 thousand facebook likes, and 170 re-tweets. It may not have every Indonesian citizen talking about land use and the trade -offs between multiple objectives, but it’s a start. What’s happening in your ‘field of dreams’. Could a little environmental decision science help you reach that dream a little faster. In many parts of the world, natural vegetation has been cleared to allow agricultural production. 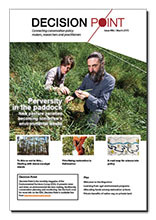 The extent to which scientific research published since the year 2000 in 20 conservation science journals is publicly available. These little islands of artificial habitat are magnets for wildlife.